Kia Motors is backed by prestigious accolades* like “Highest Ranked Mass Market Brand In Initial Quality” four years in a row by J.D. Power and “10 Most Awarded Brands of 2017” by KBB. Whether you choose the Kia Optima, Kia Soul, or Kia Sportage, you can’t go wrong! Best of all? Cactus Jack's Auto’s finance center can help you take advantage of used Kia benefits for a reasonable monthly rate. Why Buy a Used Kia? Lower Cost: In most cases, buying a used car is more affordable than buying new. This applies to down payments, monthly payments, registration costs, and insurance premiums. Slower Depreciation: New cars depreciate in value — sometimes by as much as half — the moment you leave the dealership. When you buy used, the previous owner has already taken the major depreciation hit for you. Wider Selection: At a used car dealer like Cactus Jack's Auto, you’ll find newer model-year Kia vehicles, as well as vehicles that are no longer in production. Popular Features for Less: If you opt for a late-model used Kia, you may gain access to upscale features like UVO telematics, blind-spot monitoring, and a navigation system — all for a used-car price. What Are My Kia Options at Cactus Jack's Auto? Used Kia Forte — a compact car with excellent fuel efficiency. Used Kia Optima — a midsize sedan with a spacious cabin and generous features. Used Kia Rio — a versatile sedan or hatchback. Used Kia Sedona — a minivan with seating for seven to eight people. Used Kia Sorento — a midsize SUV with 70 cubic feet of cargo volume. Used Kia Soul — a distinctively styled compact crossover. Used Kia Spectra — a sedan or hatchback with great highway fuel economy. Used Kia Sportage — a compact SUV with a surprisingly large cargo area. Before buying any used car, you should always check the vehicle history report for any red flags. 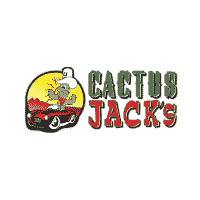 Start Shopping with Cactus Jack's Auto Near Mesa! Here at Cactus Jack's Auto in Phoenix, we’re committed to helping you find the pre-owned car you want at a great price. That’s why we offer financing options for Surprise shoppers with poor or no credit and Buy Here, Pay Here benefits. Contact us with any questions about used Kia benefits or to schedule a test drive with one of your favorites! What Are the Top 5 Reasons to Buy a Used Car?